Our hand built amps have been enjoyed by some very notable musicians. We received credit on the Tragically Hip’s “World Container” and “We Are the Same” CD’s and we were honourably mentioned in Billy Gibbons book Rock & Roll Gearhead and in Tone Quest magazine. The HiFi Channel featured Trinity Amps in an episode of HD Guitar Picks hosted by Kim Mitchell. We were the first Canadian distributor of Tone Tubby loudspeakers (used by Gibbons, Clapton, Santana, Trucks and more) and have sold them to musicians like Myles Goodwyn, from April Wine. Our custom built cabinets have been used by Prince and Donna Grantis and we design and use our own custom vintage spec transformers built in the USA. Been enjoying the amp sooo much! Trying to get my chops in shape so I can do a decent job with a sample clip for my build video. The amp really sounds killer. Thanks again for a wonderful kit! Read about how Trinity Amps were used on Ross Neilsen’s CD “Elemental” here. 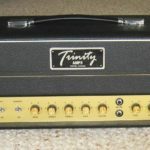 The new Trinity TC15 faithfully reproduces both Matchless and Vox amp tones. The two channel TC15 is a 15 watt amp with two very different Vox derived channels. One is sweet and one is tough. 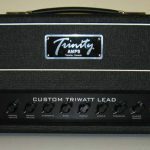 Trinity Amps builds six two channel versions of Marshall 18 watt amps - the sIII, Plexi, Plexi MkII, TMB and the v6. All 18 watt amps incorporate Treble, Midrange, Bass, Gain and Volume. The second channel has Tone and Volume controls. 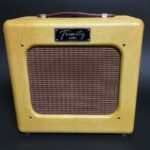 For rock, country or blues players who want a moderately powered amp they can crank up on a small to medium sized gig or in the studio, the Trinity Amps Tweed may be the amp for you. 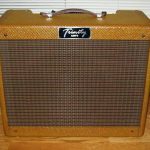 The fat, snappy guitar tones heard on many recordings, from Memphis to Abbey Road, were made using the Tweed. Based on the classic design originally pioneered by Hiwatt, The Triwatt has a preamp inspired by the early "4 Hole" amps, and by Pink Floyd legend, David Gilmour's "3 Hole" version which had two bright channels inputs and a third linking the two. The Triwatt has that classic Hiwatt sound, reminicient of Pete Townsend and David Gilmour. The Tramp is a brand new design that incorporates extreme, useful flexibility with distinct amp voices and plenty of features. With a simple pull of a switch, you can go from Tweed to 'Tude; another pull switch and you can play Fat or Thin. Using the Volume, Master Volume and Power Level controls along with Bass and Treble, achieves tonal nirvana! 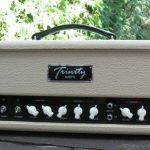 The heritage of the Trinity Amps OSD (Overdrive Special Design) is a Dumble Skyliner concept in a compact format with slightly fewer frills. 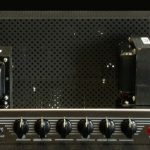 These amplifiers are synonymous with the rarest finest boutique amplifiers used by Stevie Ray Vaughn, Eric Johnson, Carlos Santana, John Mayer, Robben Ford, Larry Carlton and more. 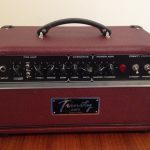 Based on several years of vintage Ampeg B15 designs, the Trip Top combines the original circuits of both the Ampeg B-15NC (1964) as well as the later B-15NF (1965-67). The B-15-NF channel has the volume control section before the tone stack and in the B-15-NC channel it is after. Maintaining these circuits keeps the same gain structure and biasing found in the original B-15N amp designs, helping to preserve their true heritage. 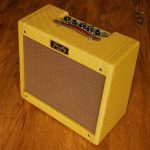 Just about everybody who’s ever picked up a Strat or Tele is familiar with the tweed Fender Champ—the little practice amp that could, the one famous for being the amp that Clapton used to record “Layla.” Our Triton does not disappoint!